Achieving Human Commitment to Space Colonization: Is Fear the Answer? By Lifeboat Foundation Scientific Advisory Board member Sylvia Engdahl. October, 2006. Fifty years  it has been exactly fifty years since I first realized that space colonization is the only way of overcoming our world’s problems. I wrote the first draft of the story that eventually became my novel The Far Side of Evil in October 1956, a year before the launch of Sputnik. It’s hard to believe it’s been that long, or that the all-too-brief “false dawn” of the early Space Age filled less than the first third of the time since then. During the Apollo era and the years leading up to it, I believed  as all space enthusiasts did  that we were well on the road to becoming a spacefaring civilization. We didn’t anticipate a half-century or more of retreat to the mere orbiting of our home planet. And I certainly didn’t imagine that no colony would be founded within my own lifetime, which, unless a crash program to build one is initiated in the near future, is how it’s going to turn out. And yet now the establishment of an off-world colony has become even more urgent than I’ve previously thought. I have never approved of doomsaying. My novels are noted for their optimistic view of life. I have consistently opposed all predictions of dire consequences that might follow development of new technologies because they are based on the assumption that nothing unforeseen will occur to invalidate the premises on which they’re based  and unforeseen progress always does occur. Trends don’t continue without interruption. If there’s anything we can be sure of, it’s that the circumstances on which prophecies of imminent doom depend are going to change. For many years it has been predicted that one form of technology or another would bring about the End of Life As We Know It. (Remember the Y2K scare? It was seriously believed by many alleged experts that we had become so dependent on computers that society would grind to a halt at the stroke of midnight on January 1 of the year 2000 because those computers couldn’t handle 4-digit year dates; we were advised to stockpile food and cash because bank records would be lost and ATMs would stop working.) My personal memory goes back to August 1945, when we heard the first radio report of the atomic bomb and believed that within a few years nuclear disaster might destroy civilization. Generations have grown up believing in successively ghastly forms of that scenario. And of course, unlike Y2K, nuclear disaster was  and still is  a real danger. Yet somehow, civilization has remained intact. Our lives go on; the only major differences in them have been due to beneficial technologies: better-equipped cars, television, microwaves, computers, the Internet, cell phones, etc. as well as innumerable medical advances. In less fortunate parts of the world where these are not available, the progressive acquisition of older technologies has an even greater impact on people’s wellbeing. Now, there is growing concern among scientists about the possible negative effects of emerging technologies such as biotechnology, nanotechnology and artificial intelligence. In principle, I am not worried about these developments. I don’t believe the changes they bring will alter what it means to be human, any more than past changes have. I feel that on the contrary, progress in these fields will reveal much that hasn’t been known about the nature of life, and may force science to recognize that human beings are more than physical bodies. In any case, I feel sure that unforeseen aspects of this progress will counteract the harm to our species that many fear is inherent in the mere existence of such technologies. However, though changed circumstances invalidate past assumptions, not all change is positive. There is one recent change in the world that does increase the threat posed by technological advance  and that is the fact that potentially dangerous technologies can, and very likely will, be developed by small groups of terrorists simultaneously with investigation by responsible researchers. In the normal course of events, technological innovations are pursued for constructive ends. Furthermore, new inventions don’t become widespread before they are mature. There is always the possibility of accidents and even of misuse, but when such events occur they affect relatively small numbers of people. They don’t threaten the daily lives of large populations, much less civilization as a whole. But once a few terrorists gain the power to destroy whole populations deliberately, the situation will be very different. Biotechnology and nanotechnology in the hands of terrorists is indeed something to fear. It is not cause to forgo these technologies, any more than we forgo airliners because we now know terrorists can use them as weapons of destruction. But we do take measures to protect against acts of terrorism. And as individuals we buy fire, auto and life insurance, which we would not be willing to spend money on if we ignored the possibility that despite odds in our favor, we might need it. And so I have broken my long-standing rule never to endorse any form of doom-and-gloom publicity and joined the Scientific Advisory Board of the Lifeboat Foundation. 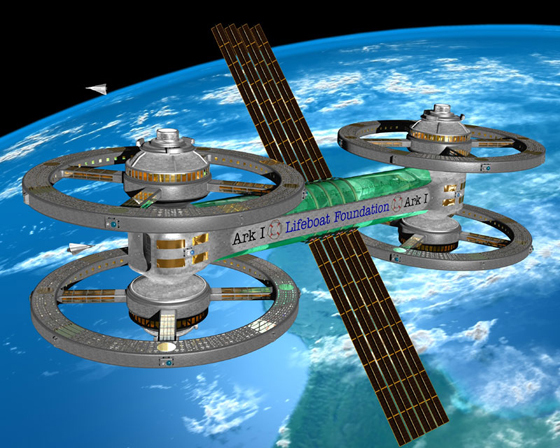 The Lifeboat Foundation doesn’t oppose risky technologies  that would be futile even if it were desirable, which in my opinion it is not. It does, however, warn against probable dangers with the aim of encouraging the development of defensive technologies beforehand, instead of after it’s too late. (For some examples, see a list of its current and future programs.) Its goal is to prevent the extinction of the human race as a result of disaster, whether natural  such as an asteroid strike  or precipitated by human action. However, though I have mentioned the necessity of having space colonies as insurance against extinction, I have not emphasized that aspect of the issue. In my opinion, they are needed even apart from any specific disaster, simply because Earth will ultimately run out of resources, because playing a “zero sum game” with present resources leads to poverty and war, and because confinement to a single planet without the challenge of a frontier breeds frustration expressed through violence (this, in fact, I believe to be a main root of the trend toward terrorism). They are also crucial to the preservation of Earth’s environment. The expansion of human civilization beyond Earth is a natural and necessary phase in the maturation of our species, and as such will be a positive endeavor. It is not in any sense escapism, and therefore not something we should do merely to barricade ourselves against destruction. Recently, however, I have come to believe that people are never going to support a sufficient space effort for positive reasons, or even to prevent a distant prospect of extinction. We wouldn’t have gotten to the moon without the immediate fear of the Soviets, and we haven’t gotten far since without fear as a motive. Over the past thirty-five years I have watched one space advocacy organization after another fail to gain significant public support despite great enthusiasm on the part of its founders and activists. There have been dozens of them, and for the most part their efforts, like my own, have proved to be mere “preaching to the converted.” They have won few if any new converts from among the apathetic majority. And so I think perhaps the Lifeboat Foundation has the answer. It is not a “space advocacy” organization despite its advocacy of self-sufficient colonies. It focuses on threats of extinction and on multiple ways of combating them, thus appealing to a far wider assortment of people than space enthusiasts. Its emphasis is on potential near-term threats. Many of its supporters believe in the imminent coming of the Singularity, which personally I do not because I don’t believe machine intelligence will surpass the as-yet-incomprehensible powers of the human mind. But differences of opinion on this issue don’t affect the need to establish ourselves off-world for insurance purposes. There is another reason why I’m convinced that fear may be the only impetus strong enough to produce public support for a large-scale space effort. I have long suspected that it is fear, rather than apathy, that has been holding the majority back  not conscious fear, but the stirring of an unconscious recognition that the universe is very much vaster, and more scary, than most people like to think. Pascal’s famous statement, “The eternal silence of these infinite spaces terrifies me,” is the earliest formal expression of a human reaction that is widespread, though seldom acknowledged. But in Pascal’s time and long after, humans were insulated from the universe by a gulf assumed by most to be unbridgeable. Space was an abstraction, a topic studied by astronomers that was in no way connected to people’s lives. With Apollo 8’s voyage to the moon in 1968, the public was suddenly jolted into awareness that our access to space is real. 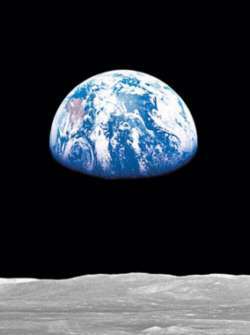 Much is said about the positive effect of the photos of Earth obtained by Apollo 8, which for the first time showed our planet as a globe, a fragile refuge amid barren surroundings, and thereby launched the environmental movement. The concomitant negative impact  spread of gut-level knowledge that space is an actual place containing little that’s familiar to us and perhaps much that we’d rather not meet  is not spoken of. But it may be no less significant. 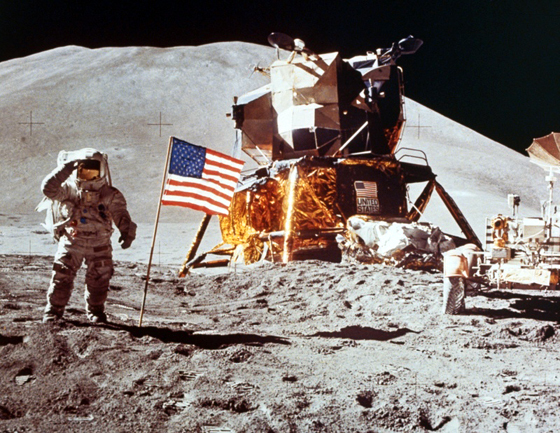 Could this be one of the reasons why interest in space died so soon after the first moon landing, resulting in the cancellation of the last few planned Apollo missions? Is it the cause of the rise of belief in UFO contacts, and could the experience of being abducted by aliens (which in most cases is neither faked nor a manifestation of mental illness, but a perception that emerges in a form indistinguishable from memory) be an unconsciously-formed metaphor for the unknown terrors that may await us in space? 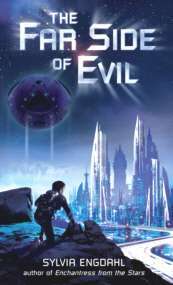 Is the decline of positive space imagery in science fiction movies and corresponding rise of fantasy and disaster films a sign that space is less appealing to the public, and nameless evils are more frightening, when the universe is open to humans than it was when it could be classed with the never-never land? Man used to do more than just orbit the Earth. Very probably, it is. This would explain much that has been puzzling to space enthusiasts, who have long sought an answer to what happened to the vision that offered such promise and evaporated so suddenly. Expansion into the new ecological niche of space is clearly a new stage of human evolution, yet after brief acknowledgement at the time of the first moon landings, our society as a whole has been blind to this … or perhaps not. Perhaps underneath people know it all too well. Even space advocates often feel no urgency about bringing off-world settlements into existence; they dream of them as symbols of a hopeful future, but like almost everyone else, they may be reluctant to take the plunge. Only a small minority of adventurers really enjoy the thought of being on the cutting edge of a major step in human evolution, for who knows where that may lead? At the time of Columbus, many thought venturesome ships would fall off the edge of the world, a prospect they viewed with great dismay; others (according to legend), knowing the world extended beyond their maps, marked the edges with the warning “Here Be Dragons”. Figuratively speaking, most people of our time may feel the same way about space exploration. If this is true, then the only way to overcome unconscious fear may be to replace it with conscious fear  fear not of the “dragons” whose nature we cannot imagine, but of the disastrous scenarios we can imagine all too clearly. Paradoxically, fear may be the answer both to why we haven’t progressed in space and how we can motivate a push outward. For the danger we face is real. One way or another, whether or not terrorists employ dangerous technologies or asteroids strike Earth, to remain confined to our home forever would mean our extinction. And we don’t have forever to make up our minds about it; as has often been pointed out, we have only a narrow window of opportunity in which the resources for getting started will remain available. In my opinion, The Survival Imperative: Using Space to Save Earth by William E. Burrows (Forge Books, 2006) is one of the most important books of our era.